NBA superstar LeBron James has signed with the Los Angeles Lakers, leaving his hometown team, the Cleveland Cavaliers, for a four-year $154 million deal, according to Klutch Sports Group, the company run by his longtime friend and agent Rich Paul. The company made the announcement Sunday night on Twitter. James, the 33-year-old four-time league MVP and three-time NBA champion, was expected to make a quick decision on his future after opting out of his contract with the Cavaliers on Friday. The Lakers have a young, exciting core but haven't made the playoffs since the 2012-2013 season. They finished last season with 26 wins and 56 losses. 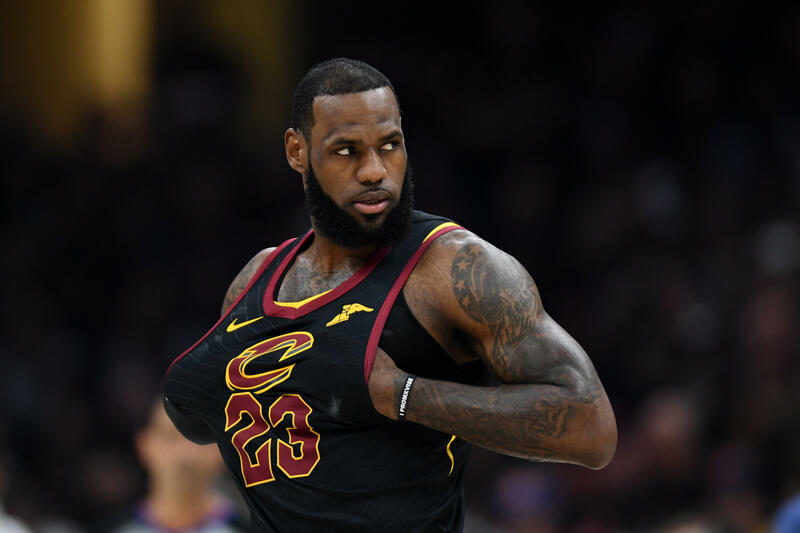 Cavs owner Dan Gilbert, with whom James has had an often contentious relationship, issued a statement wishing his departing superstar well, saying the organization will always remember the night James helped end the city's 52-year championship drought. "A championship that united generations of Clevelanders, both living and passed," the statement said, "LeBron, you came home and delivered the ultimate goal. Nothing but appreciation and gratitude for everything you put into every moment you spent in a Cavaliers uniform." James' decision is expected to affect the fate of other superstars and role players across the league, most notably San Antonio Spurs forward Kawhi Leonard, who has reportedly expressed interest in teaming up with James. The Lakers will give James a larger platform for his business interests and social activism -- since James already owns two homes in Southern California along with a film production company, the Associated Press reports. Several of James' new Lakers teammates responded to Sunday's news with excitement. ESPN reports, citing sources, that James won't hold a press conference regarding the decision or host a welcome party in Los Angeles. His first public announcement is scheduled for the opening of his I Promise School in Akron on July 30.